The man traveled many years over the Earth without ever realising the miracles he worked, because when he was facing the sun, his shadow was always at his back. 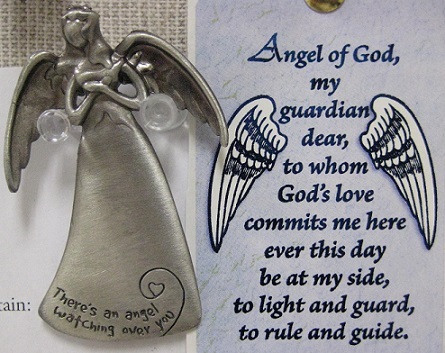 From a very young age I always have had a belief in Angels, I have seen them and felt them close by when needed. My childhood was difficult with violence in the family then the split of the family. We all think of Angels as beautiful figures dressed in white with huge wings. One of my Angels was a child my age that used to come and sit with me on the edge of my bed. As I grew I got use to the Angels, I read up about them, learned about them. Each one of us has an Angel assigned to us on the day we are born. This Angel is with you standing in the wings (no pun intended), waiting for you to ask help and that’s it. Now if you ask for £1million……… well tough. You are not going to get it, but if you ask strength at a particular moment then your Angel will be there with his/her arm around your shoulder. Please don’t ask me why children die, or people die in accidents or of cancers if they have Angels. I don’t know, these things happen and there must be a reason new-born babies have their first dream and then taken away from us, only the Almighty knows. I have asked that question many times as I have been in that situation. 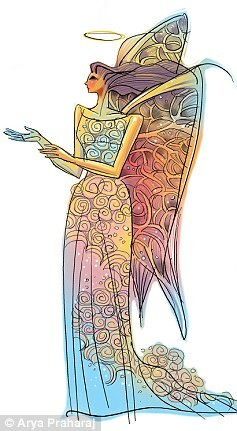 How to contact your Angel: first it’s a matter of trust. Trust your Angel to be there, then get yourself relaxed in a quiet room, no need for candles or incense, but if it will help you relax then do it. Close your eyes and ask your Angel to come forward and to tell you their name, now really listen with your ears, mind and especially your heart. You will hear their name; you will feel warmth, a comfort and joy. Then thank them for their name and ask them for help, over the next few days look for signs, feelings of comfort in your home and white feathers. It works for me. Have Faith, Love and Hope that’s all you need. Pete, thank you for sharing your testimony. This is the comment of Pete from my post Do you believe in Angels. Please direct your comments to him and feel free to visit his site, My Sore Soul. Pete, please feel free to response to them. Again, thank you. Do I believe in angels? I do! There is no doubt in my mind that angels exist and never a day goes by in my mind that angels exist. They could be in so many different forms. When they do appear to me, in some way on another, the memory leaves an indelible mark in my mind. The Angels can send a real person to protect and serve the goodness of mankind. They protected me and helped in my most dire need. No question about it. If Angels exist so does the devil. I know, for I have seen the devil on someone’s face. There are unexplained situations that happened and I have no fear for the Angel of the Lord is with me. Being present to everyday situation makes me more open to the divine more so with the evil. Not that I am discounting the negative effect in daily life, there are more goodness in the world.